The Board of RTG Mining Inc. is pleased to announce that through a further direct investment and conversion of loans in Central Exploration Pty Ltd (“Central”), RTG has increased its interest in Central to 24%. Michael Carrick is now Chairman of Central and Justine Magee has also been appointed a director of Central. In addition one of RTG’s major shareholders (interests represented by Mr. Richard Hains, who also independently provided early stage funding to Central), has a 32% interest in Central. As announced previously, Central is the joint venture partner of the Special Mining Lease Osikaiyang Landowners Association (“SMLOLA”), being the owners of the minerals at the old Panguna Mine. The joint venture is held through Central Me’ekamui Exploration Limited who has applied for an exploration licence over the customary land of the SMLOLA members, being the old Panguna Mine. The SMLOLA has nominated RTG as their development partner for Panguna. 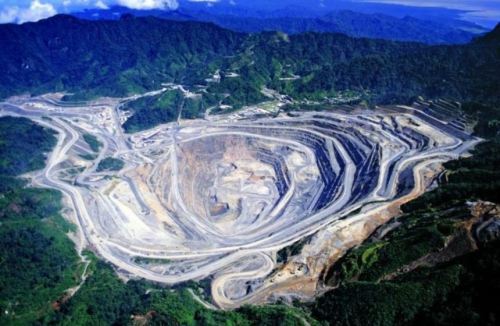 The Autonomous Bougainville Government (“ABG”) is currently considering all exploration licence (“EL”) applications, including the purported EL renewal application of Bougainville Copper Limited. Both the SMLOLA and RTG are committed to working with the ABG to ensure both the ABG itself, and all Bougainvilleans benefit from any redevelopment of Panguna.